Vasily Ivanovich Surikov (Russian: Василий Иванович Суриков; 24 January 1848, Krasnoyarsk - 19 March 1916, Moscow) was a Russian Realist history painter. 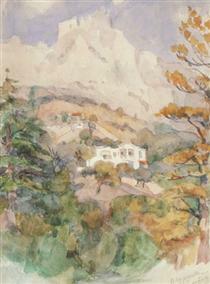 Many of his works have become familiar to the general public through their use as illustrations. He was born to an old Don Cossack family that had settled in Siberia. His father was a Collegiate Registrar, a civil service rank that often served as postmasters. In 1854, as a result of his father being reassigned, the family moved to the village of Sukhobuzimskoye, where he began his primary education. In 1859, his father died of tuberculosis so the family returned to Krasnoyarsk and were forced to rent the second floor of their house to survive financially. He began drawing while attending the district school and was encouraged by the local art teacher. His first formal work dates from 1862, but his family could not afford to continue his education and he became a clerk in a government office. This brought him into contact with Pavel Zamyatin, the Governor of Yenisei, who was able to find him a patron: Pyotr Kuznetsov, a local merchant who owned several small gold mines. 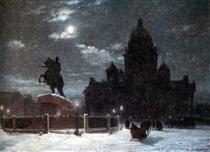 In 1868, he rode on horseback to Saint Petersburg, but was unable to qualify for admission to the Imperial Academy of Arts, so he studied at the drawing school of the Imperial Society for the Encouragement of the Arts. 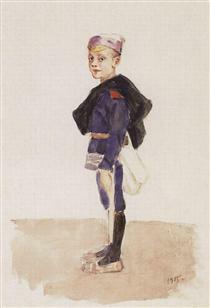 After a year there, he was allowed to audit classes at the Academy and became a full-time pupil toward the end of 1869. 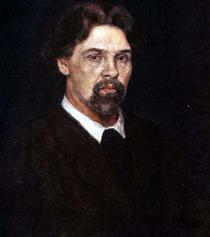 From 1869 to 1875, he studied with Pavel Chistyakov, Bogdan Willewalde and Pyotr Shamshin, winning several medals. 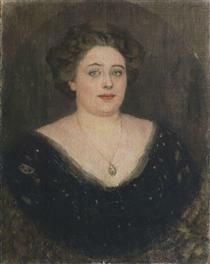 His great attention to composition earned him a nickname, "The Composer". 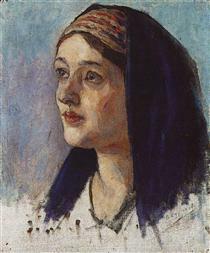 In 1875, he graduated with the title of Artist, first degree. 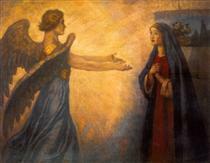 In 1877, he received a commission to paint murals at the Cathedral of Christ the Saviour (then still under construction) and he moved to Moscow. Unable to afford a house, he lived in rented apartments and hotels and visited Krasnoyarsk whenever possible. In 1878, he married Elisabeth Charais, a French woman who was descended from the Decembrist, Pyotr Svistunov, on her mother's side. They had two daughters. 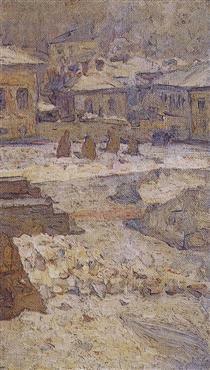 After that, he chose to remain in Moscow and began the series of historical paintings that would establish his reputation, starting with The Morning of the Streltsy Execution. 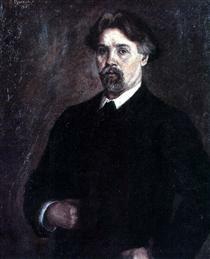 In 1881, he had his first exhibition with the Peredvizhniki, an artists' cooperative. 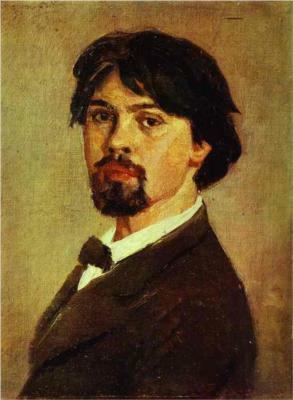 In 1883, Menshikov in Beryozovo was bought by Pavel Tretyakov for a sum that allowed him to take a European tour. 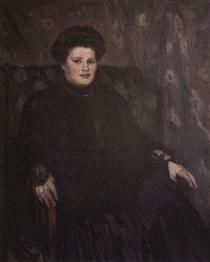 In 1887, he added portraits to his repertoire, beginning with one of his mother. 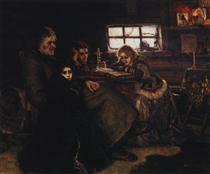 In 1888, his wife died, and he returned to Krasnoyarsk with his daughters for two years. 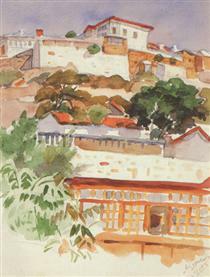 There he painted his most lighthearted picture, The Capture of Snow Town. This was followed by a visit to his ancestral home in Siberia. There, on the Ob River, he made sketches for one of his most familiar works, The Conquest of Siberia by Yermak Timofeyevich (an event in which some of his ancestors had participated). This brought him a full membership in the Imperial Academy. In 1897, he visited Switzerland and painted Suvorov Crossing the Alps, which was purchased by Tsar Nicholas II.